The FirstNet first-of-its-kind solution will spur investment and modernize public safety communications across the nation, AT&T executives said. The FirstNet first-of-its-kind solution will spur investment and modernize public safety communications across the USVI, AT&T executives said. The U.S. Virgin Islands on Tuesday became the first U.S. territory to “opt-in” to the FirstNet network, following Gov. Kenneth Mapp’s decision to accept the FirstNet and AT&T plan to deliver a wireless broadband network to the territory’s public safety community, helping first responders save lives and protect communities, the carrier announced. “The USVI participated in FirstNet consultation and outreach activities throughout the planning of the network and reviewed the details of the FirstNet State Plan,” Mapp said. “I have determined that it is in the best interest of the USVI and the country to participate in the FirstNet deployment of the National Public Safety Broadband Network,” he said. AT&T, in a public-private partnership with FirstNet, will build, operate and maintain a secure wireless broadband communications network for the USVI’s public safety community at no cost to the territory for the next 25 years. 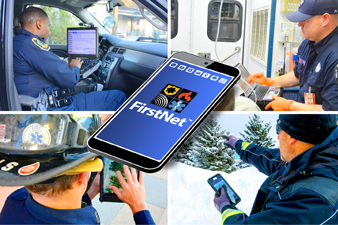 The FirstNet network will drive innovation and create an entire system of modernized devices, apps and tools just for first responders, the carrier said. Preemption for primary users over the AT&T LTE network is expected by year-end. This means fire, police, EMS and other public safety workers will have dedicated access to the network when and where they need it – 24/7/365. Hey Buddy!, I found this information for you: "USVI becomes 1st US territory to join FirstNet network". Here is the website link: https://newsismybusiness.com/becomes-territory-firstnet/. Thank you.